"The finger leaves of the pin oak reminded her of the druid's mesmerising hands. Then she saw the large perfect one in deep emerald and knew it was a good omen." 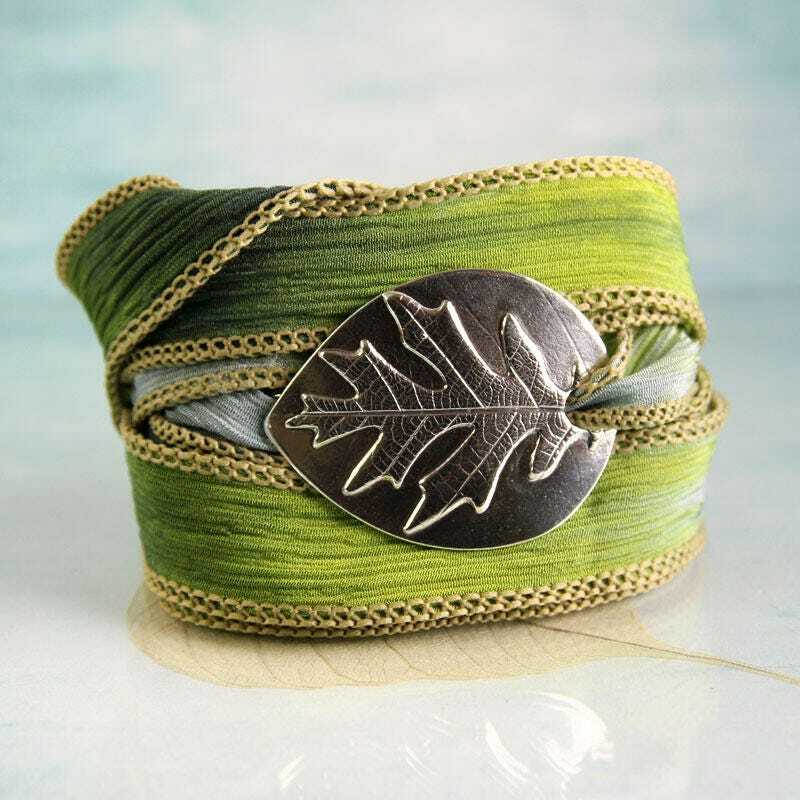 The softest silk ribbon wrap bracelet with a decorated sterling silver slide. 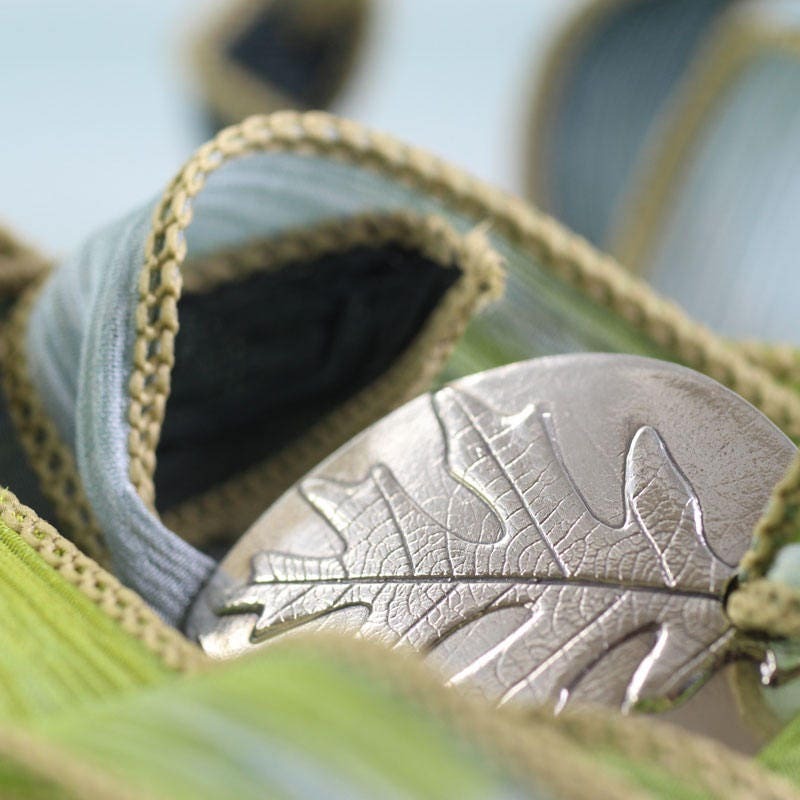 The silver is shaped by hand and the impression is a slender oak leaf. I gave this one a shield shaped backing so the points won't catch on everything. 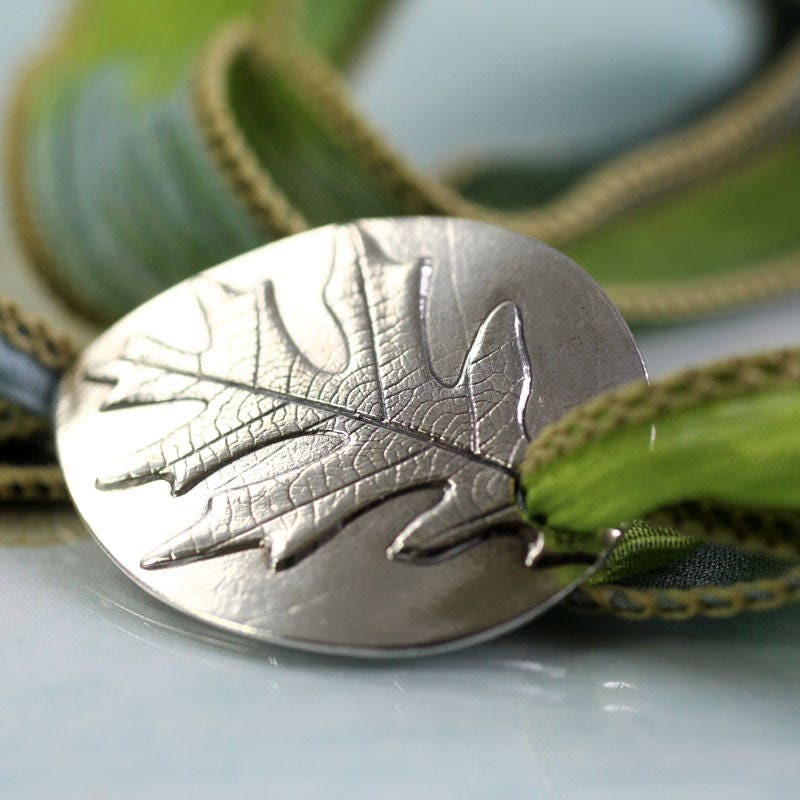 I love the delicate looking leaf and how it rises smoothly from the silver plate. The back is smooth and the silver plaque is slightly curved to follow your wrist. 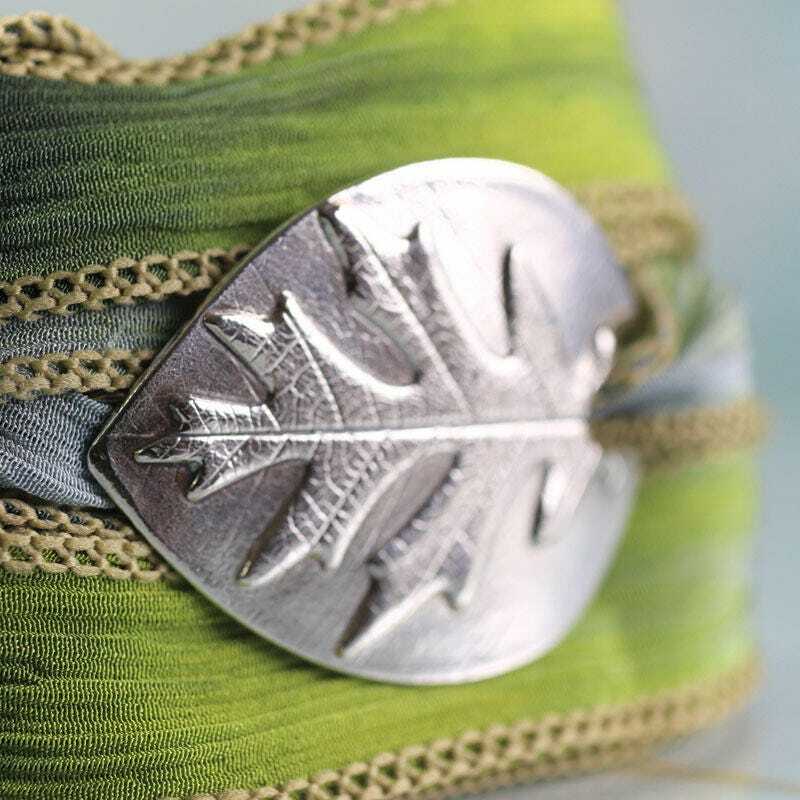 Wearing leaves is an ancient tradition, whether celebrating spring or autumn, bounty or fertility. 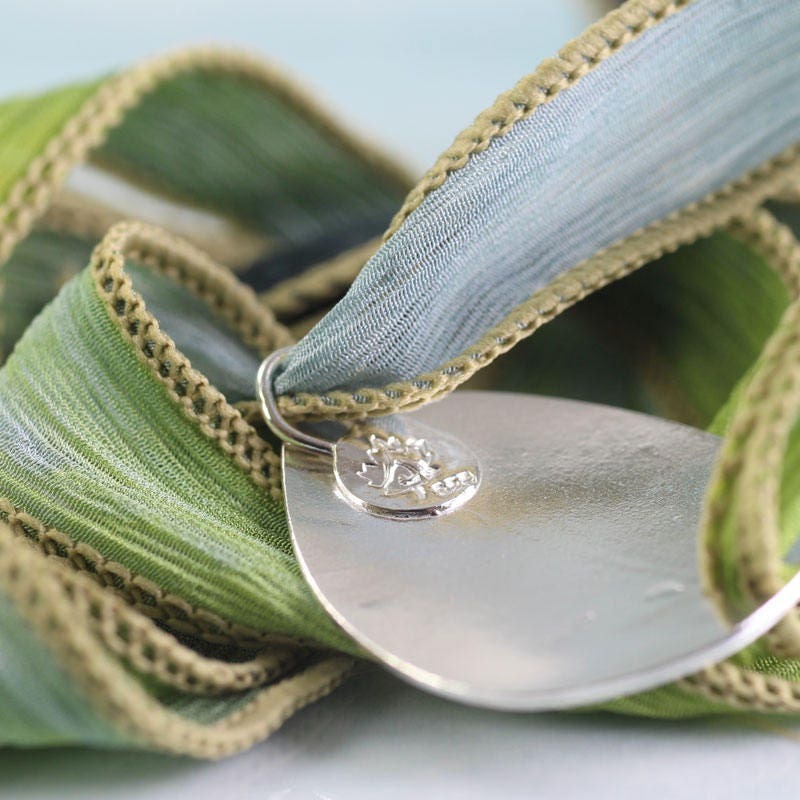 The ribbon ties easily, just knot it and tuck in the ends. 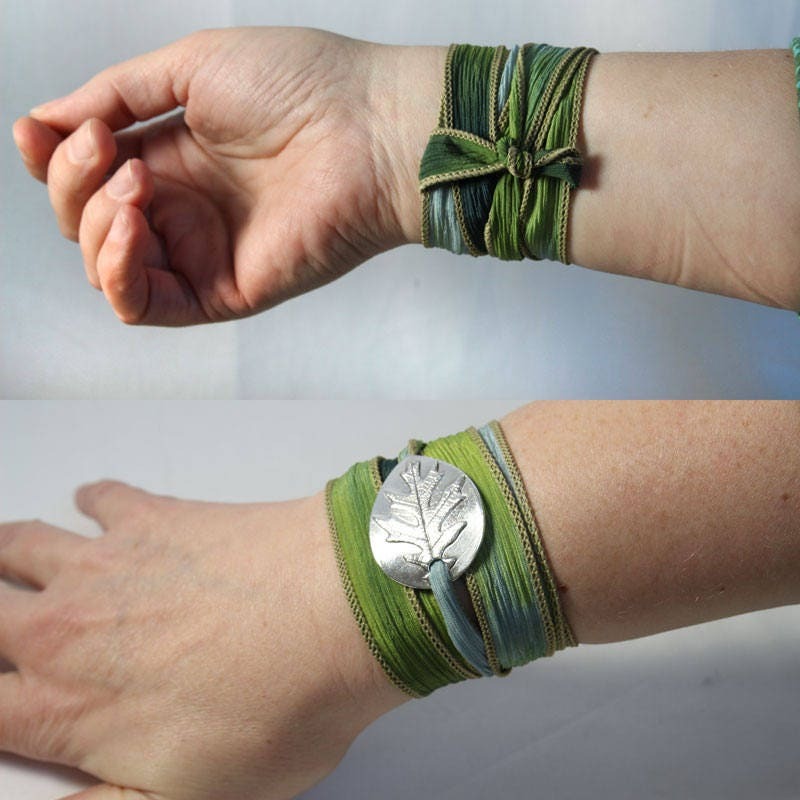 The ribbon goes around the wrist 5-6 times. 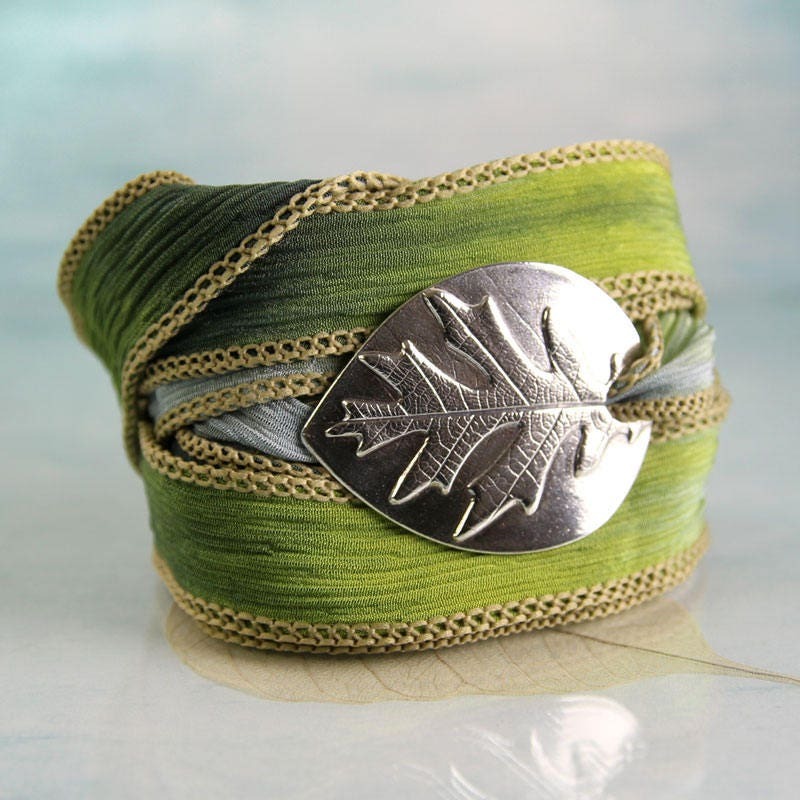 The hand dyed silk can be hand washed with a bit of soap and even ironed for a smoother look. The wrap here is the 'Succulent' ribbon. 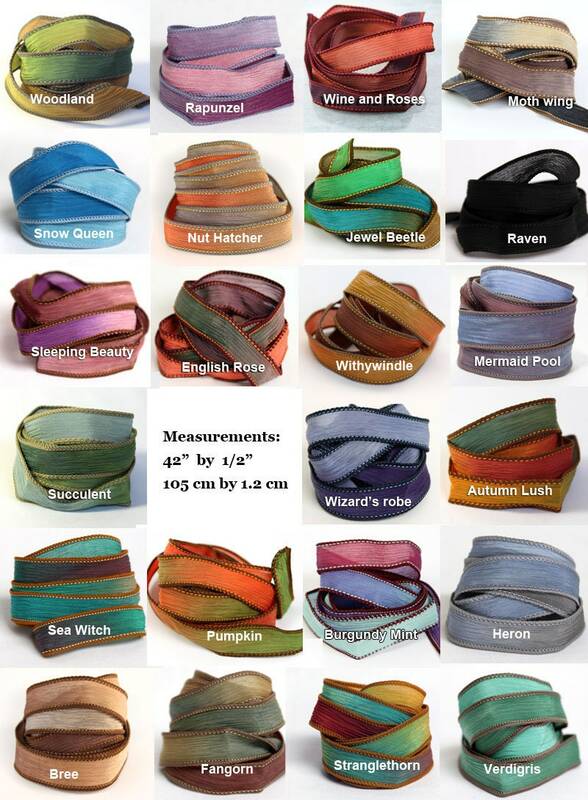 You can have another colour ribbon if you prefer. 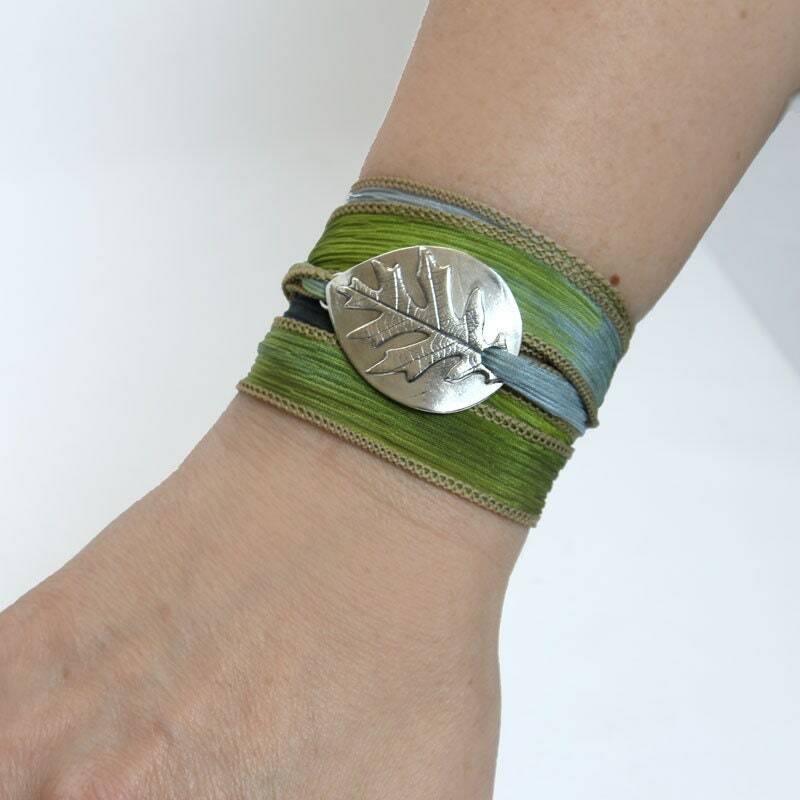 Have a look at my current selection in the last photo and choose from the drop down list.